Is Christopher McQuarrie Confirmed For Mission: Impossible 5? A few months ago we heard that Paramount had their eye on director Christopher McQuarrie for Mission: Impossible 5. It made a lot of sense too, considering Brad Bird wouldn’t be returning and McQuarrie was getting ready to release the Tom Cruise-starring Jack Reacher, which the studio had high hopes for. Unfortunately, Jack Reacher didn’t bring in the numbers that Paramount had hoped for, which made people wonder if McQuarrie would still be wanted for Mission: Impossible 5. Though we haven’t heard anything official from the studio just yet, the director has Tweeted today that he has decided to accept the gig, meaning that Paramount still wants him to helm the film. No word yet on if he’ll write the script as well too but considering he’s an Oscar winning screenwriter, I think that he’s going to, at the very least, want a pass or two at the screenplay. Personally, I’m hoping this news turns out to be true. McQuarrie is very different than any other director that the franchise has seen. He may not be able to give us the stylized action that John Woo did or the big, over the top action set pieces that Brad Bird did so well, but he could definitely give us better dialogue and characterization than past directors. Punctuate that with some sharply directed action scenes and you’ll have a really great film on your hands. Admittedly, Mission: Impossible – Ghost Protocol was a pretty awesome action film and trying to top that will be an extremely difficult task, no matter which director Paramount chooses. With McQuarrie though, the film should be in pretty capable hands and I’m intrigued to see what he’ll bring to the franchise. What do you think? 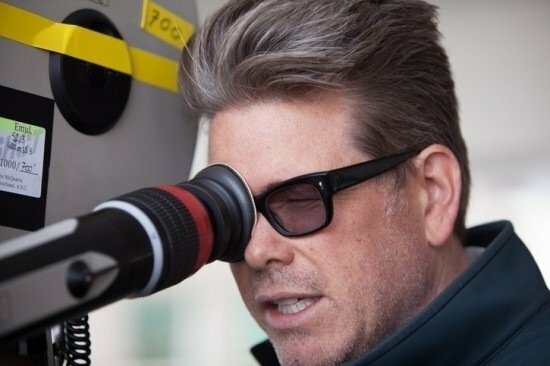 Is Christopher McQuarrie a good fit for Mission: Impossible 5? Is there someone else that you would rather see direct the film? Let us know what you think in the comments below.